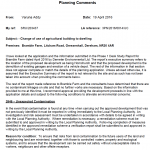 In order to support a prior approval application (3PN/2016/0014/UC) for the conversion of the existing buildings to a dwelling a desk study report was required to determine if the site had the potential to be impacted by elevated levels of contamination arising from the historical uses of the site. The review of the historical O.S maps indicated the site comprised of open land until circa 2002 when the site was developed and the exiting building was erected. An irrigation reservoir was identified off site, and as the reservoir had not been in-filled was discounted as a potential source. The review of the data from the Environment Agency and Groundsure reports did not revel any landfills within 250m or any other credible sources of contamination. The assessment of controlled waters indicated that the underlying groundwater was regarded as a moderate and high sensitivity aquifers. 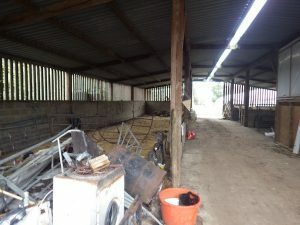 On completion of the desk based assessment a site walkover was undertaken, which revealed the site was occupied by an agricultural building, which was used for general storage, the previous use was for the housing of livestock. the site observations were used to discount the site buildings as a potential source of contamination. Whilst site observations were not able to discount the presence of made ground under areas of hard-standing) as no new landscaped were proposed and made ground was absent in the existing landscaped areas, made ground was discounted as a potential source. Whilst the initial application (3PN/2016/0014/UC) was refused, the recommendations of the desk study report were accepted. 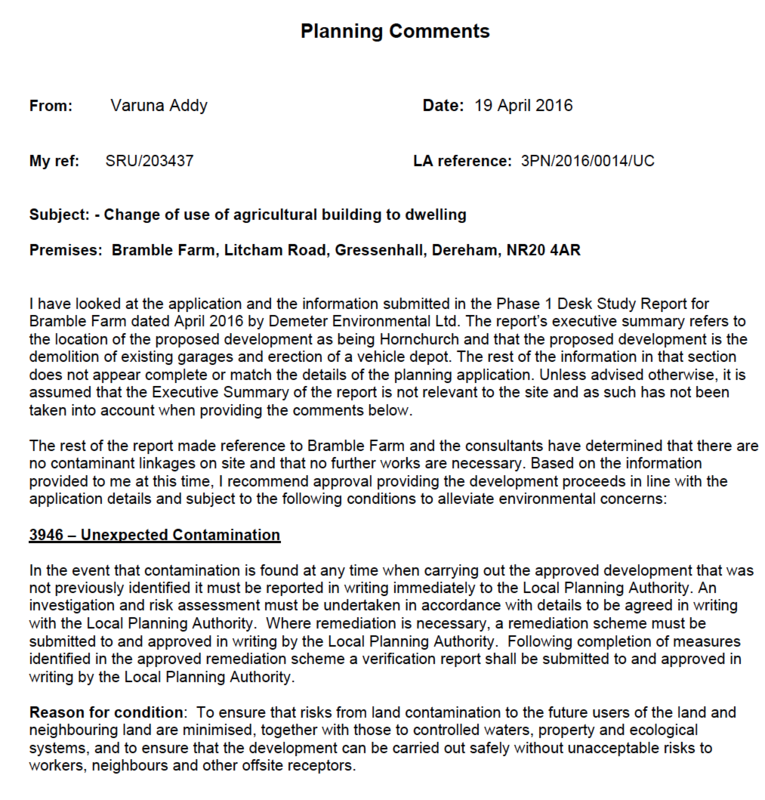 A second application (3PN/2016/0056/UC), with changes to the area to be developed, hence the existing desk s study report need to be revised in order to fully characterise the site. A revised report was issued which contained an updated risk assessment based on the updated site boundaries, which after some subsequent correspondence, was accepted.